The cull, which some are calling Instagram Rapture, has left some users ‘mourning’ the loss of followers, while others have praised Instagram’s clean-up. At Click, we see it as a welcome move that’s critical to keeping Instagram authentic. Ultimately, it will leave brands with a more accurate indication of how many people they are engaging with on the platform. There’s little point in artificially inflating any social account with fake followers – in the long term, it’s quality, not quantity, that counts. High-profile celebrities were among those hardest hit. Justin Bieber lost the most followers in the purge at 3.5 million (15%), while Kim Kardashian lost 1.3 million (5.5%). Brands have fared relatively better. Nike, for instance, lost 256,000 followers – just 2.8% of its total and fashion chain Forever21 lost 245,000 (4%). However, Instagram’s own account lost 18.9 million – a drop of almost 30%. It remains to be seen how – or whether – the sweep will impact on advertisers. 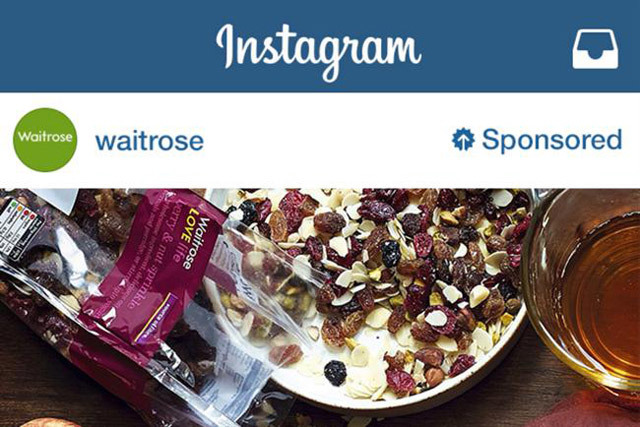 Instagram began introducing ads to the photo streams of people in the UK in September 2014, following a US launch last year. Waitrose, Rimmel, Channel 4, Starbucks, Cadbury, Estee Lauder and Sony Music were among the first brands to advertise. Sponsored photos and videos are clearly marked with a sponsored label – but the network is keen to ensure they are “seamlessly integrated” with the Instagram user experience and so its roll-out of the programme will be “slow, measured and thoughtful”. Launched in 2010, Instagram has already surpassed Twitter in popularity, with more than 300 million users compared with Twitter’s 284 million. Research suggests that brands that use the photo-sharing site generate nearly 50 times more engagement than they do on Twitter. Social network advertising in the UK totalled £507.7million in 2013 and is expected to increase by 50% this year, according to eMarketer. Enjoyed this post? Why not find out how to create a social media success story? If any or all of the following signs apply to you, it may be time to bring in the experts to help you get to grips with search marketing.